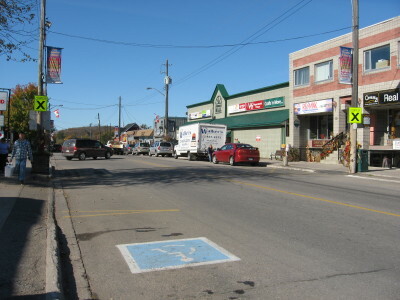 The Village of Haliburton is located in the Municipality of Dysart et al. 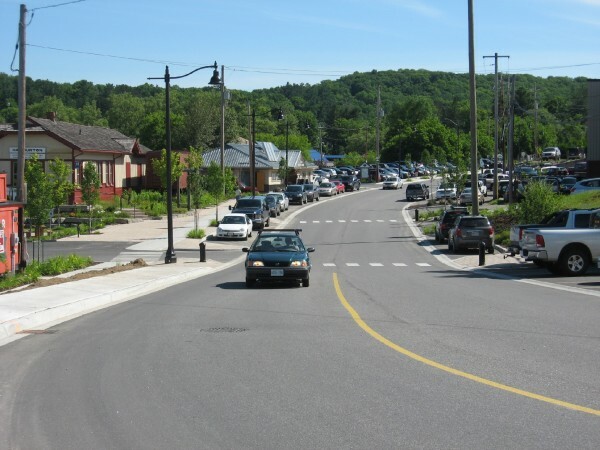 In 2010-11, the Municipality undertook an ambitious streetscape project that saw its two downtown streets, York and Highland, resurfaced and redesigned with numerous improvements for people walking and cycling. 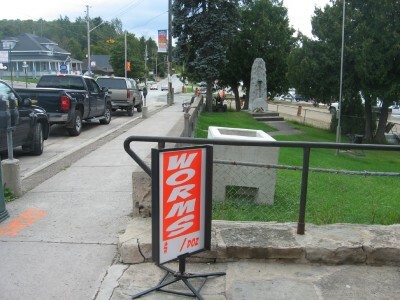 Improvements included new sidewalks, curbs, plantings, bike racks, benches and crosswalks. 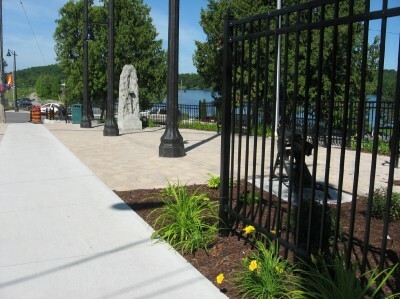 Decorative paving stones were added, and new public space was created around the local cenotaph. Hydro lines were also buried, which makes the downtown look less cluttered and more attractive. These before and after photos show the dramatic changes in the village.